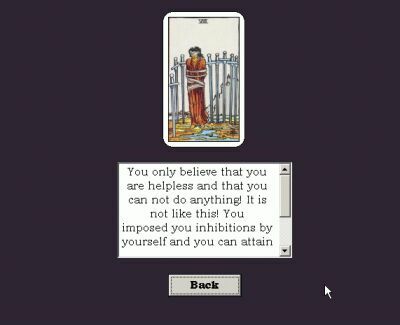 Apart form standard Tarot spreads, our software contains a special bonus section. Here, you can draw your DAILY card! We dare you to check what you might expect today! small Arkana. Moreover, you may add your own comments and saved them for future use. In this way you can even write your own, personalised Tarot manual!